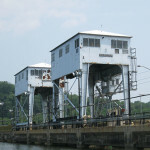 Crofton was hired to remove two 60 ton capacity gantry cranes constructed in 1926. 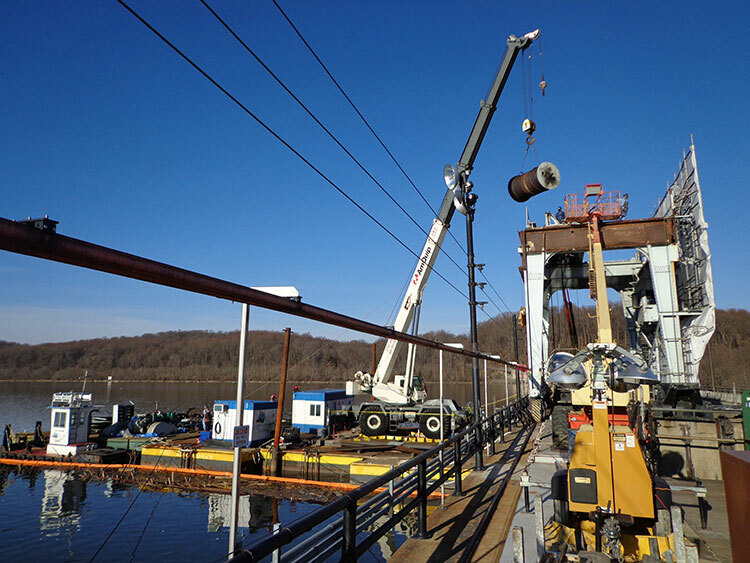 The project was performed utilizing a waterborne crane rig assembled upstream of the dam on the Susquehanna River that was disassembled following project completion. 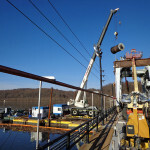 Working with local ironworkers through a subcontract agreement with a local contractor at the facility, the Crofton crew operated the crane rig and supervised the entire operation. 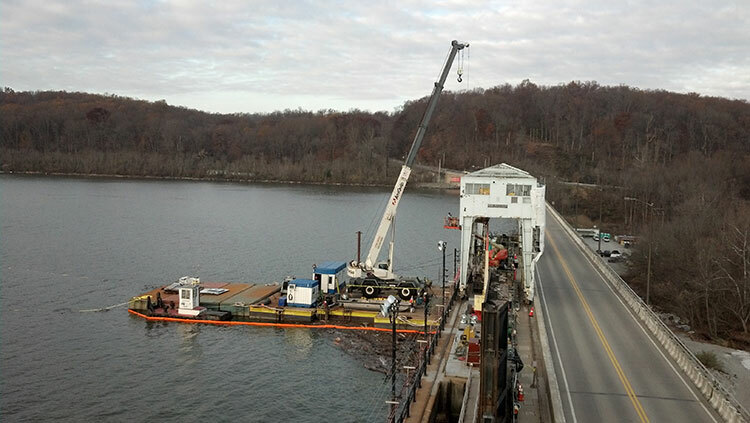 The cranes were demolished utilizing two aerial lifts and oxy/acetylene cutting equipment. 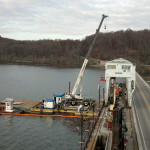 Spoils were loaded aboard a material barge and pushed to a nearby cove for offload into waiting steel salvage trucks for disposal. 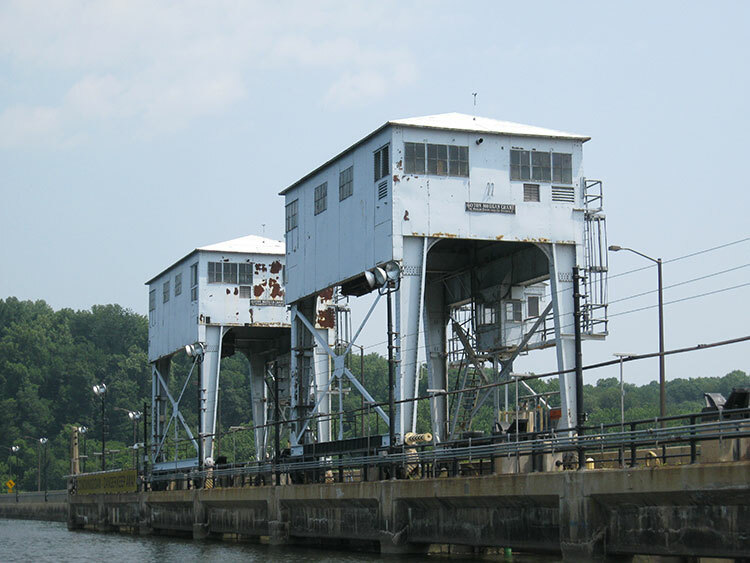 The cranes were coated with remnants of the original lead based paint requiring lead abatement procedures and equipment throughout the conduct of the project.